Pitch & Putt is a 9 hole, 3 par executive golf course in South Austin that's a favorite of retired pros and strives to be an approachable space for first-time golfers. Owner Lee Kinser is dedicated to providing a beautiful setting in the heart of the city to learn, practice, and enjoy the game of golf while honoring the legacy of golfing traditions in Austin. When we met Lee, she wanted to improve business for existing patrons and attract new people to the game of golf. 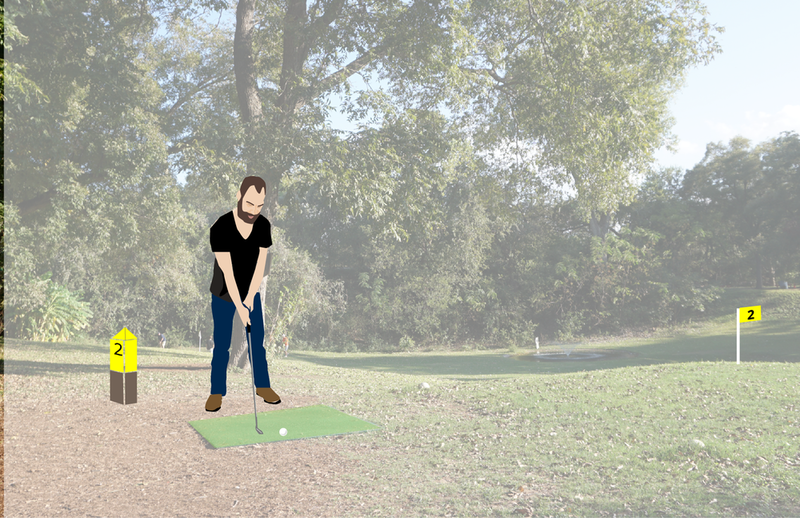 I worked with two designers to address frustrating service challenges at the course and bring new ideas to a popular Austin pastime. We went to the course and played a round of golf with first-timers, pros, and regulars to understand how they feel about Pitch & Putt. We also interviewed the owner and longtime staff which uncovered some core frustrations when getting newcomers set up to play. Despite wanting to welcome more first time golfers, the owner and staff were so familiar with golf and the course that they didn't know how to accommodate new patrons. We used reflection timelines during several customer interviews and our interview with the owner. Initially we asked them to map their morning on a sheet of paper using only a sharpie. Then we asked them to move backwards and tell us about what happened before today. People drew pictures and shared stories, all of which helped us understand how Pitch & Putt fit into their lives. We mapped all of our interview data onto the studio walls and found patterns in the staff and owner experiences as well as across the customers. We used these insights to create an actual journey map that visualized paint points in the service experience at Pitch & Putt. Then we drew out what the experience should be, focusing in on hero moments when the customer felt good. We designed two concepts, one that addressed the wayfinding system and another that addressed the service flow–how it feels to come to Pitch & Putt, buy a round, rent clubs, play, and leave. "I'm sure I'm wrong about the next tee. Here, you want to look at this? I'm all spun around." "Hey y'all, I know where it is. Follow me." "They just stand there and look at you like you are supposed to read their minds." We removed unnecessary signage, repositioned the fixtures to open up the space and allow more light in, and we redesigned the menu of services so staff had to less explaining. We came back a month after installation and the same employee told us, "this is great!" Butler Park Pitch & Putt is owned by Lee but she leases the property from Austin Parks. Every few years, Lee meets with a city partner to review their suggested updates but she always feels like they're not addressing customer needs to create a better experience. We developed a Service Design Plan that served as a tool to guide conversations about the experience at Pitch & Putt and how Lee hoped to continue to improve it. 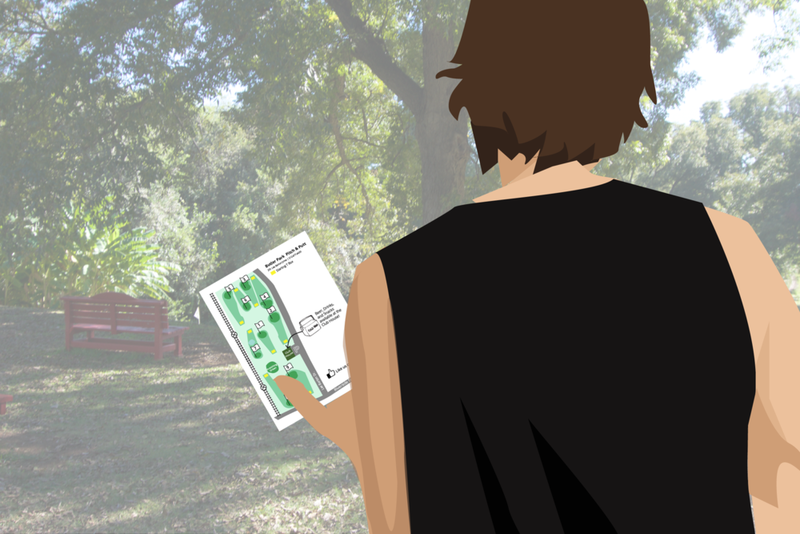 Lee used the plan in her February meeting with her city partner and both parties appreciated having a guide to facilitate a conversation about their mutual needs.